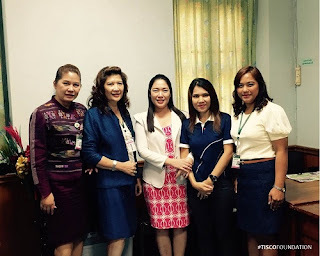 TISCO Foundation: มูลนิธิทิสโก้ฯ เข้าพบคณะนักสังคมสงเคราะห์ที่โรงพยาบาลศิริราช - TISCO Foundation team had a meeting with social workers team at Siriraj Hospital. 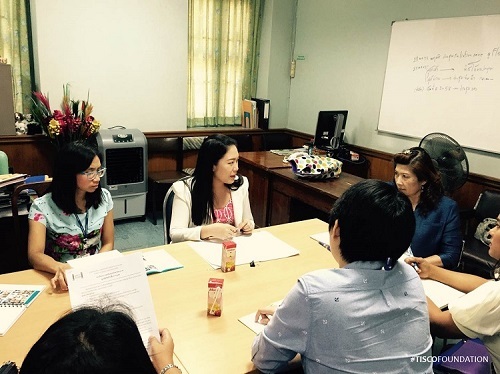 มูลนิธิทิสโก้ฯ เข้าพบคณะนักสังคมสงเคราะห์ที่โรงพยาบาลศิริราช - TISCO Foundation team had a meeting with social workers team at Siriraj Hospital. On May 29, TISCO Foundation team had a meeting with social workers team at Siriraj Hospital. The purpose was to introduce our three grant programs and to learn about their needs in medical care services. Naparat Anakeboon, head of social work unit, told us that the main challenge was that more than 80% of patients come from poor families in rural areas. Apart from expenses on medication that are not covered by the government social welfare, they have to bear transportation and housing expenses, especially for those who have to receive continuous treatment. 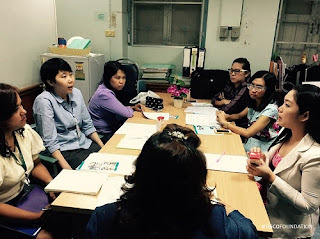 We hope to receive medical grant applications from Siriraj Hospital soon.